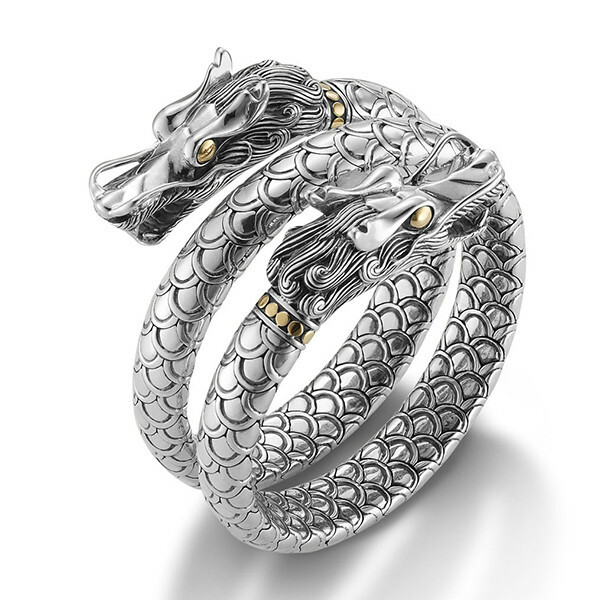 Beautifully haunting, this intricately designed John Hardy Naga bracelet is a show stopper. The double headed dragon wraps around the wrist in a double coil, and its flexibility makes it easy to wear. This gorgeous piece is hand crafted in sterling silver and features tiny 18kt gold dotted cuffs around each dragon's neck. 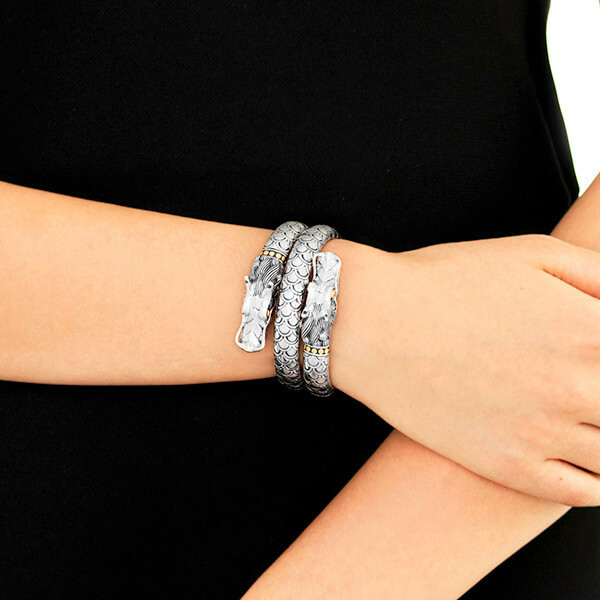 Create a look of subtle strength with this John Hardy piece.